Jan Václav Hugo Voříšek (Czech pronunciation: [jan ˈvaːt͡slaf ˈɦuɡo ˈvor̝iːʃɛk]; Johann Hugo Worzischek, 11 May 1791, Vamberk, Bohemia – 19 November 1825, Vienna, Austria) was a Czech composer, pianist and organist. Voříšek was born in the town of Vamberk where his father was schoolmaster, choirmaster and organist. A child prodigy, he started to perform publicly in Bohemian towns at the age of nine. His father taught him music, encouraged his playing the piano and helped him get a scholarship to attend the University of Prague, where he studied philosophy. He also had lessons in piano and composition from Tomášek. He found it impossible to obtain sufficient work as a musician in Prague, so in 1813 at the age of 22 Voříšek moved to Vienna to study law and, he hoped, to meet Beethoven. In Vienna he was able to greatly improve his piano technique under Hummel, but once more failed to gain full-time employment as a musician. Although Voříšek was enthralled by the classical style of Mozart, he was more intrigued by the incipient romanticism of Beethoven. In 1814, as he was starting to compose, he did indeed meet Beethoven in Vienna. He also met other leading musicians there, including the composers Louis Spohr, Ignaz Moscheles, Johann Nepomuk Hummel, and especially Franz Schubert with whom he became fast friends. He completed his law studies in 1821 and was appointed barrister to the Court Military Privy Councillor, for whom he mainly drafted legal documents. But in 1822, he at last found musical employment as second court organist and ended his legal career. He was appointed first organist in 1824. He soon won esteem as a composer of orchestral, vocal and piano music for orchestra. In 1818 he became conductor of the Friends of Music Society (Gesellschaft der Musikfreunde) of Vienna. Vorišek died of tuberculosis in 1825 at the age of 34. He was buried at Währing cemetery, where within three years his idol Beethoven (in 1827) and his friend Schubert (in 1828) ended up as well. The cemetery is now a park named after Schubert, although the remains of both Schubert and Beethoven were later moved to the Zentralfriedhof, or Central Cemetery, of Vienna. Voříšek wrote only one symphony, his Symphony in D major, in 1821. Its style has been likened to Beethoven's first two symphonies, but its melodically inventive early Romantic idiom was similar to Schubert's. In his capacity as imperial court organist, Voříšek composed a Mass in B-flat major. Together with his single symphony, some of his piano works and his Violin Sonata in G major, Op. 5, the Mass has been recorded. The first recorded use of impromptu as a musical term occurred in 1817, in the Allgemeine musikalische Zeitung, an idea of the publisher to describe a piano piece by Voříšek . His Impromptus Op.7 were published in 1822, pieces known to his friend Schubert who subsequently used the description for several sets of music for piano, as did Chopin and numerous other composers. 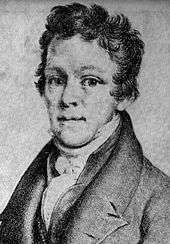 In 1823-24, like Schubert, he was one of the 50 composers to contribute a variation on the same waltz by Anton Diabelli for the Vaterländischer Künstlerverein on which Beethoven composed his 33 variations (Op. 120). Cantus Classics 1993 recording (CACD 8.0019 D) of Voříšek's Symphony in D major and Mass in B-flat major with Oldrich Vlchek (resp. Václav Neumann) and the Virtuosi di Praga & Prague Chamber Choir. Hyperion Records recording (CDA 66800) Voříšek's Symphony in D, with Charles Mackerras and the Scottish Chamber Orchestra. Regis Records recording RRC1224 Six Impromptus Op. 7, Sonata in B flat minor Op. 20, Variations in B flat Op. 19 and Fantasie Op. 12, also for piano.